Offered is an original TYPE I photo taken by photographer, William Lizdas (stamped on back) that measures 10” x 6.5” in size. Stamped on the back of the photo, May 5, 1994. The photo depicts sliding home to score the final run of the game. 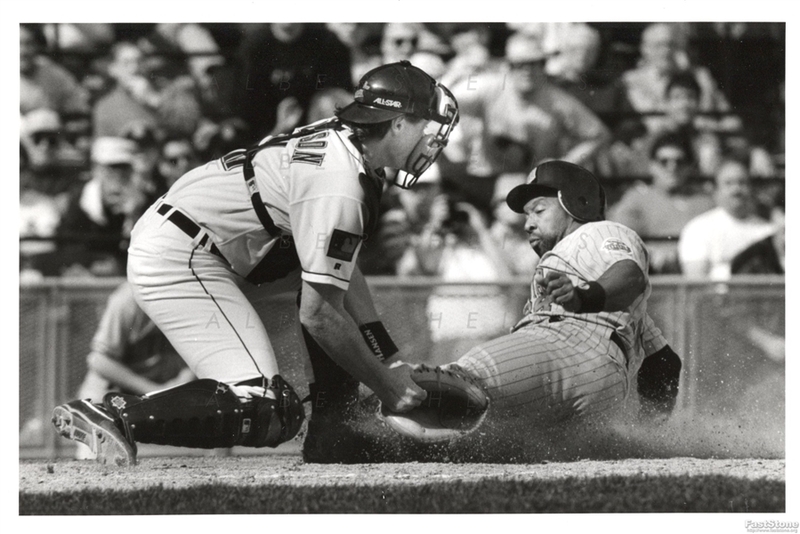 Dave Nilsson (Milwaukee Brewers catcher) fails to tag him out.